Brought up in Ayrshire, Sheena gained her BA Honours at Edinburgh College of Art. She was Craftsman in Residence in Linlithgow then worked as a furniture designer until she decided to return to painting when she moved to Haddington 25 years ago. 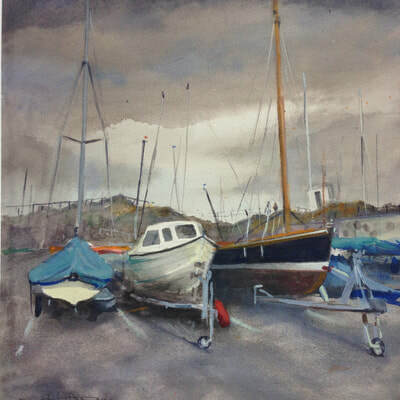 She tutors in watercolour painting at Poldrate Arts and Crafts Centre and for Continuing Education. Her first love is landscape. 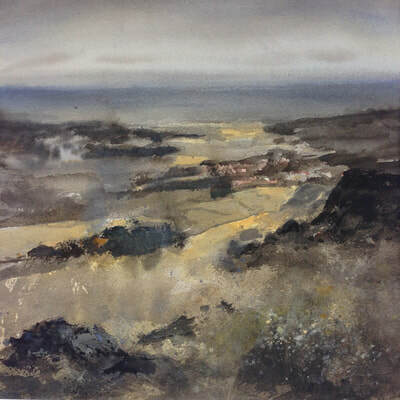 Her work has been described as ‘atmospheric and evocative’, often showing the effect of light on water and land. 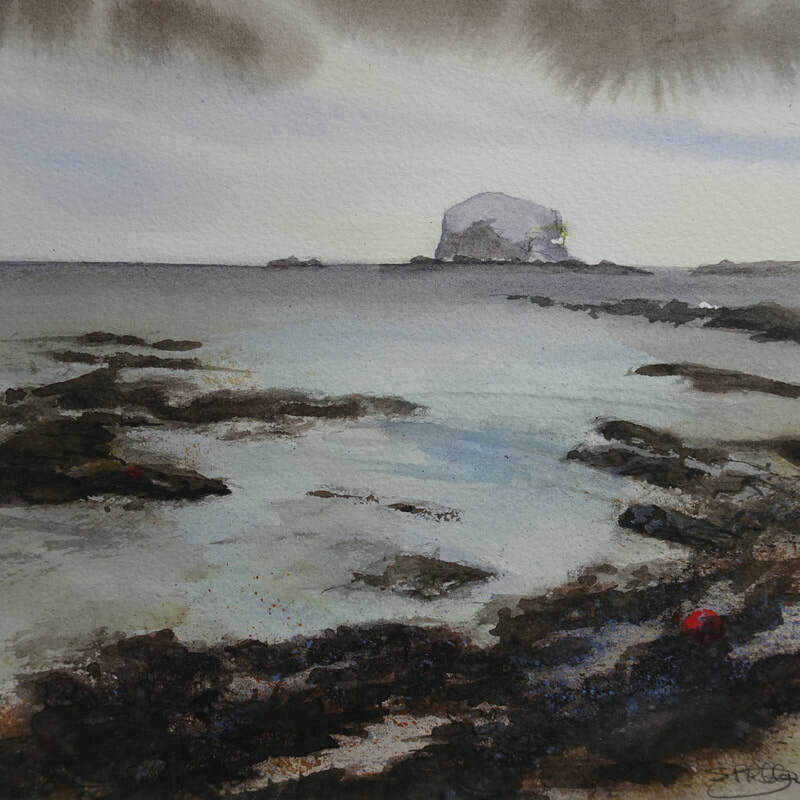 She has had work accepted by the Royal Institute of Painters in watercolour, Scottish Society of Watercolours, Aberdeen Artists Society, The North Ayrshire Arts Council and the Discerning Eye, London. She has been commissioned by East Lothian Council, Dyslexia Scotland and by many firms and individuals for presentations and retirement gifts. She exhibits her work widely throughout Scotland. 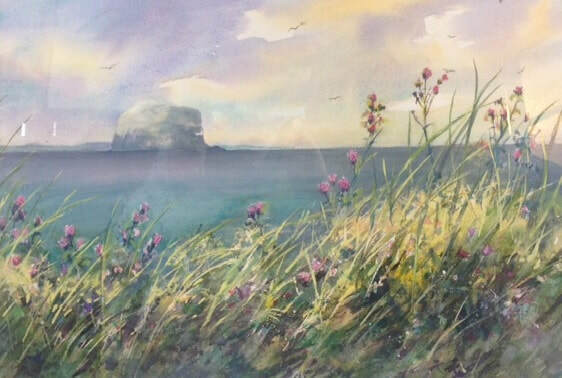 Light on grasses & the Bass Rock (34 x 50 cm + frame) £580. From Traprain Law to Tyninghame Bay (25 x 25 cm + frame) £350.